← NANP: Schemes and Where Was I? 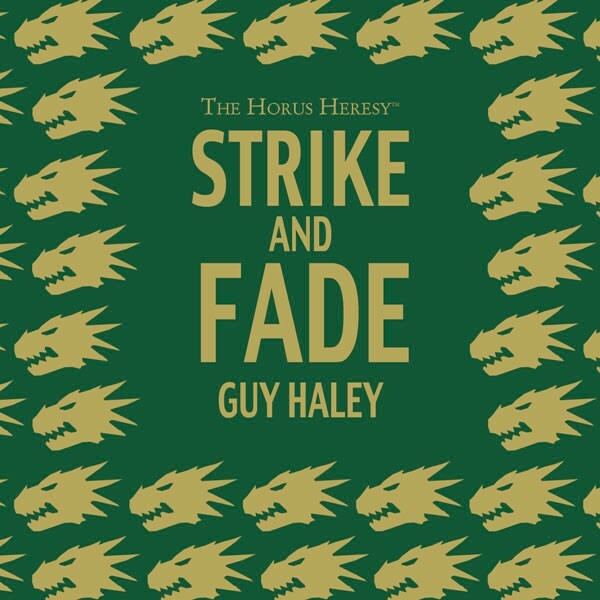 Strike and Fade is an audio drama of about ten and a half minutes and is set within the tumultuous period of the Horus Heresy for the Warhammer 40,000 setting. The actual location of the story is the war-torn world of Istvaan V, where the infamous Dropsite Massacre occurred and the turncoat Warmaster Horus Lupercal devastated the three loyalist legions of the Iron Hands, the Raven Guard, and the Salamanders, with help from seven other legions than his own. I have long been of the opinion that the Horus Heresy series has done a great disservice to this monumental event by covering so little of it. Most of what we have is tangential to the main event, with the exception of Graham McNeill’s Fulgrim and Gav Thorpe’s The Raven’s Flight. Thankfully, Guy’s Strike and Fade does a great job of filling in the void. You can look at Strike and Fade as being the Salamander equivalent of The Raven’s Flight, as they are both set after the Massacre itself and show elements of the Salamanders and Raven Guard legions (respectively) surviving out in the war-torn landscape. The big difference is that there is no one to lead the four Salamanders we meet in this audio, and they are pretty much alone with no idea of what has happened to the rest of the survivors of the legion, or what has happened to their Primarch, Vulkan. The audio drama itself deals with an ambush laid by the Salamanders for a Night Lords patrol, which appears to be herding a legionnaire captive into the mountains. What follows is a very short but brutal firefight that is very enjoyable and entertaining in the audio format. The Salamanders definitely acquit themselves well. The short length prevents the audio from being truly awesome, but that’s fine. As a snapshot, it works great. Tim Tralor, Ramon Tikaram, and Toby Longworth also deliver a great performance, just as they did with John French’s Warmaster, another Horus Heresy micro audio drama. Unlike that one however, it’s Toby on narration here rather than Tim. I’ve said it before, and I’ll say it again: Toby is the King of audio dramas, whether as narrator or character, and Ramon is also an excellent performer. In Strike and Fade Ramon’s voice for Jaforr, the “leader” of the ragtag band of four Salamanders, has a real heart to it, it’s more… emotional than any of his previous performances. Toby’s performance is reminiscent of The Raven’s Flight, where he handled all the voice duties for that. Tim has a small part here, but it’s nonetheless a good one. Overall, from the voice-acting to the special effects, to the story itself, Strike and Fade is a great addition to the Horus Heresy lore. I would dearly love a sequel with these characters. Posted on December 19, 2012, in 2012 Reading Challenge, 2012 Writing Challenge, Book Reviews and tagged Advent Reviews, Audio Drama, Audio Review, Dropsite Massacre, Guy Haley, Horus Heresy, Salamanders, Strike and Fade. Bookmark the permalink. 21 Comments.